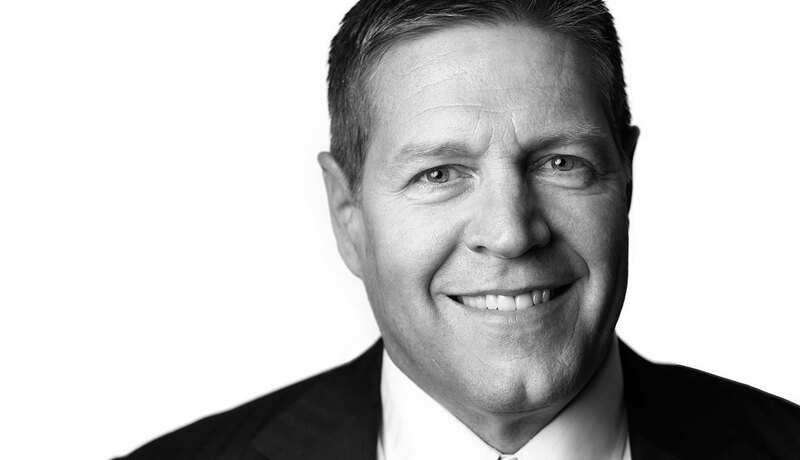 At the Detroit Auto Show last week, I had a chance to sit down with Lexus International executive vice-president Mark Templin to discuss the importance of the new LC 500 coupe and what it means for Lexus moving forward. Lexus Enthusiast: What do you want the LC to say about Lexus? What’s the message you want to get across? It’s the future of Lexus. It gives you a really good indication of our design, of where the driving performance of our vehicles is going in the future. Both of [the LC and LF-FC concept] on stage really give you that indication. How do you balance the strategic value of the LC as a halo car with finding sales success? The LC is a flagship for the brand, it’s a very special car. If we were only concerned with selling volume, there are other segments to enter. But we want to build a really strong brand first. The LC and the upcoming fuel cell [in 2020] really help us build the brand. Our engineers and designers did something over the last three and a half years that would normally take six years to do. They built a whole new platform, a whole new powertrain with the ten-speed transmission, an all new suspension system. It all happened in a short period of time, relative to how long it normally takes. After showing the LF-LC and deciding to build it, we had to bring it to market fast. We didn’t want to make people wait too long. Did you ever consider reviving the SC nameplate? The LC is a completely different segment to the SC, so we were very careful not to use the SC name. 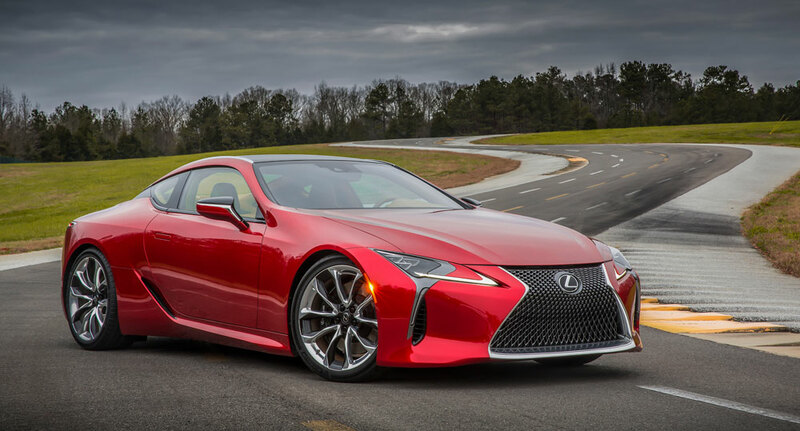 With the all-new platform and the craftsmanship and the technology that we’ve put into the LC, it competes with cars that are much more expensive. The LC will start under $100,000, but under $100,000 is a lot different than the SC price. You mentioned the fuel cell, is that tied to whatever production model the LF-FC becomes? Around 2020, we will launch our first fuel cell. We’re not ready to talk about what kind of a product it will be, or what platform it will be, or anything else just yet. What was the reception to the LF-FC? It was great. We showed that car in Tokyo first, and the response on a global basis was very strong. Showing the car here in Detroit, the first time in North America, the LF-LC blew a lot of people away. They can see the family resemblance with the LC and LF-FC. They can see it from a design standpoint, that we’re going in a consistent direction. It paints a good picture of what we’re going to be in the future. The LC was almost a direct translation from the LF-LC concept. Was the reception to the LF-FC strong enough to justify a similar direct translation? Could be! It was really well received. Usually, when you have a concept car and you bring that car to market, it ends up looking a little different. In the case of the LC, everybody on the team was committed to making sure we kept the design as close as possible to the concept. It set a new direction for Lexus and how we work between engineering and design. In the past, with most automakers, engineers and designers don’t always get along. Historically, designers have to make compromises depending on the hard points of the car. In this case, we didn’t do that. The compromises came as a team. The engineers designed new components just to make sure we didn’t have to change the design of the concept car. A great example -— look at the LC, look at the top of the front tire and the top of the hood. We’ve never built a suspension system that would fit in that kind of space. Engineers designed an all-new suspension system for the LC specifically. If you look from the back of the car, look at that nice greenhouse and the wide flat fenders that reach out. These are wider fenders than we’ve put on any car. Engineers had to find a new way to hang fenders on cars because of that. Time and time again, the engineers figured out a way to make the design work. I remember talking about how you removed a lot of bureaucracy from Lexus, reduced the amount of decision makers that have the final say on vehicles. This new way of engineering and designing seems like an evolution of that. I think you’re right. It’s a continuation of what we started with Lexus International a few years ago. We created Lexus International to get rid of the layers and layers of decision makers. We don’t have to work with the broader company as much. This means we don’t have to water down the designs from the concept phase to the time we bring the vehicles to market. We just keep evolving, keep thinking of ways to move forward faster and faster. We had a good year. Lexus is up about 12% worldwide, selling 652,000 cars. We were happy with that, both in North America and on a global basis. NX and RC was a big part of our success, as new cars with a full year of sales. We expect this new year to do the same thing. As I’ve said for several years now, our goal is not to grow too fast. We want to grow in a nice, slow, methodical way. Our growth this year is more than we anticipated. It was a good year, and I want to grow another 5-10% every year for the foreseeable future. I saw how you saved the RX for 2016, so that will certainly drive sales growth. What should we be looking forward to in this new year? A lot of success with RX. I wish we had more production capacity in December, we would have sold a lot more cars. The RX is so hot, there’s so many people waiting for one. That bodes well for the new calendar year, the plants are ramping up to build as many RXs as they can. That’s the big one for us. We’re having a lot of success in North America with the SUV lineup. Dealers are clamoring for more LX, more GX, for more RX and NX. The SUV market in North America is really booming right now. The luxury market is going strong, and we feel very confident that 2016 will carry on the momentum that we created over the last few years. We’ve just come off of three consecutive years of record sales growth, and we expect that to be the same again this year. Let’s finish off with some reader questions — these might seem a little random. 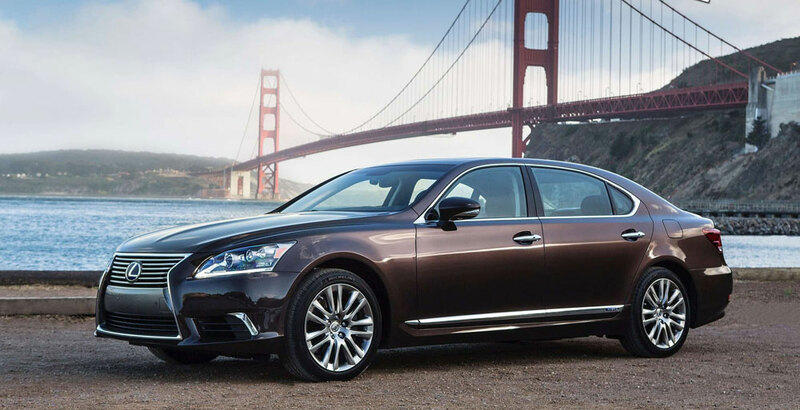 First off, what did Lexus learn from producing the LS 600hL? It was your first six-figure vehicle, what kind of feedback did you receive? The team that launched the LS hybrid learned a lot from the research they did. It’s a very different group of buyers when you start talking about a $115,000 car versus the traditional $60,000-$70,000 car. The way we have to market to those people is different. It’s more of a one-to-one relationship. People that are buying this type of vehicle are busy people with a very active lifestyle. They travel a lot, entertain a lot, they go to a lot of events. In order to reach them, you have to interact in a new way. That’s one of the biggest things we learned from a marketing perspective. From a product perspective — we learned that if you’re going to spend that much money on a car, there’s an expectation that you get more than just a great car. You get a great experience, and throughout the ownership experience you’re going to be treated differently. We had to come up with new creative ways to do things for those people above and beyond what we normally do, which is already above what the rest of the industry does. Can you mention any new markets that you’ll be entering into this year? I know there’s been mention of India. I’m not going to talk about which markets, but I’m sure you can figure it out pretty quickly. We do business in 93 countries around the world. Our German competitors are, on average, in about 140 countries around the world. There’s a lot of places we could go to. Final question — what’s the outlook on body-on-frame versus unibody? Do you see a place for both types of vehicle in the Lexus lineup? In the longterm, regulatory issues are going to force everyone in the industry to go to more unibody platforms. But in the short to mid-term, I still see a place in the lineup for a vehicle like the LX. We see that continuing for a long time. There are markets around the world where a vehicle like the LX is really important. Eventually, every market in the world will have the same kind of regulations over CAFE and C02 emissions, and then eventually you will see even more unibody SUVs on the market in general. That covers everything on the list, thanks for taking the time to answer our questions. My pleasure, Kevin, thanks to you and your readers for these questions. farid: very good interview...but why my questiones arent in this interview :-(??????? lexlthr: Great work as usual!